We are kicking off the Holiday Season with three great events. First, our Annual Halloween Costume Party/Benefit will be on Oct 30th at 7pm. Raising money for the HSCI has never been more fun than dressing up in Costume and letting it all hang out (sometimes literally…Ramiro). This years event will be held on the ocean at Turquoise (formerly Palapita) across from the Blu Bistro and the Villablanca Hotel. Admission is $200 pesos which includes a welcome drink. There will be prizes in 5 categories for Best Costumes, & LIVE MUSIC from the Red Eye Band. 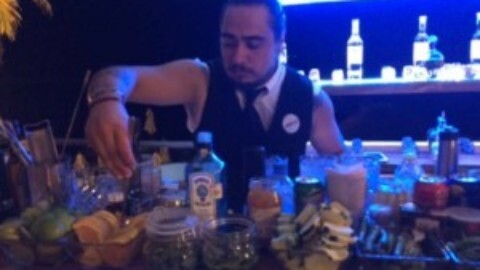 Turquoise mixologists will be creating drink specials all night long. Well behaved pets in Costume are welcome. Costume or no costume…don’t miss this great party. 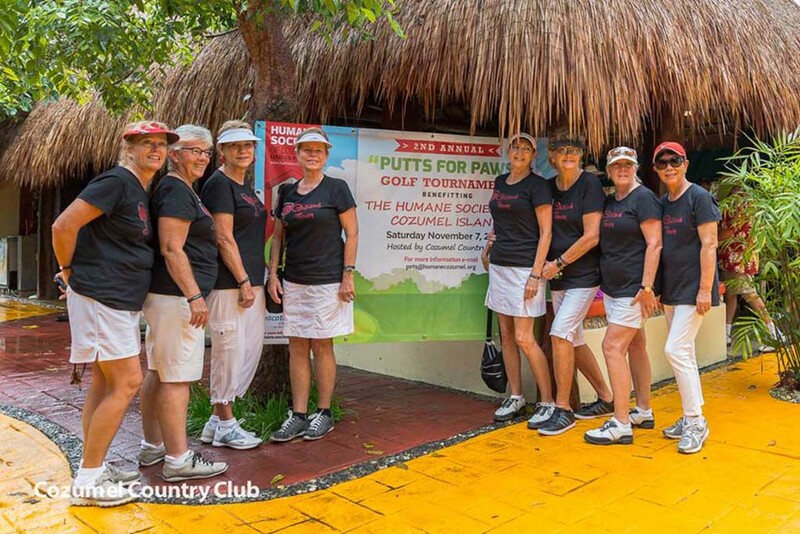 Our second event is the 3rd annual Putts for Paws 2016 Charity Golf Tournament hosted by the Cozumel Country Club which takes place on Saturday November 5th. Tee time is 9am. 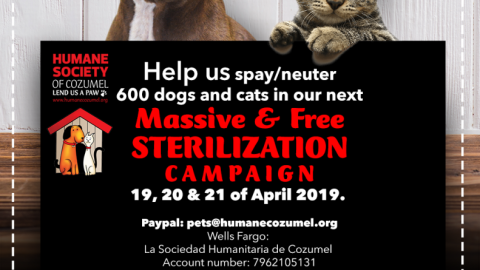 For registration information email us at pets@humanecozumel.org. 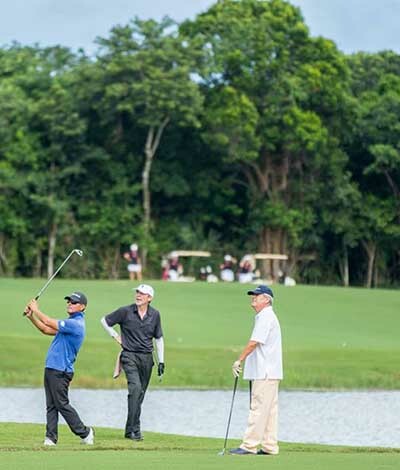 This years event will be over the top with more than 60 prizes to give away at the post tournament lunch. Guidos, La Cocay and Rock’n Java Bar & Grill will provide a sumptuous meal at the end of the tournament and the drinks will be flowing. For the 3rd event Palomar will host a Meet & Greet for all our players and their families on Friday November 4th, the night before Putts for Paws. The public is invited and admission is free. Donna Duncan Jewelry will have her fall and winter line on display so you can get some early Xmas shopping done. So for everyone who has wanted to try the new happening restaurant Palomar, this is your chance. 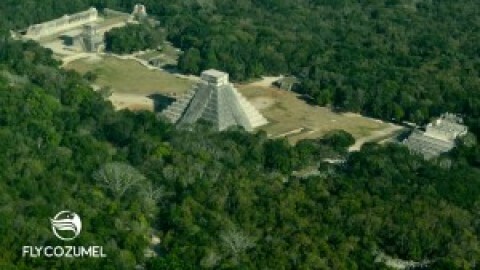 Saludos a todos desde la Sociedad Humanitaria de la Isla de Cozumel. Iniciamos la temporada de Fiestas con tres grandes eventos. El primero es nuestra Fiesta Anual de Disfraces de Halloween/en beneficio que tendrá lugar el 30 de octubre a las 7 p.m. Recaudar dinero para la Sociedad Humanitaria de la Isla de Cozumel nunca ha sido tan divertido como disfrazarse y desinhibirse (en ocasiones literalmente…Ramiro). El evento de este año se realizará frente al mar, en Turquoise (antes conocido como Palapita) frente a Blu Bistro y el hotel Vilablanca. La entrada es de $ 200 pesos que incluye una bebida de bienvenida. 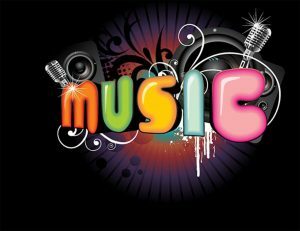 Tendremos premios en 5 categorías para el mejor disfraz y música en vivo con la banda Red Eye. Los mixólogos de Turquoise crearán bebidas especiales toda la noche. Se aceptan mascotas disfrazadas y bien portadas. Con o sin disfraz . . . no se pierdan esta gran fiesta. Nuestro segundo evento, el sábado 5 de noviembre, es el 3er Torneo de Golf de Beneficencia Putts for Paws 2016 cuyo anfitrión será el Country Club de Cozumel. La hora del tee es 9 a.m. Para registrarse, envíenos un correo a pets@humanecozumel.org. El evento de este año será enorme con más de 60 premios para entregar en la comida posterior al torneo. Guidos, La Cocay y Rock’n Java Bar & Grill ofrecerán magníficos platillos al final del torneo y fluirán las bebidas. Para el 3er evento, el Palomar será anfitrión del evento Conocerse y Saludar para todos nuestros jugadores y sus familias el viernes 4 de noviembre, una noche antes de Putts for Paws. Se invita al público y el ingreso es gratuito. La Joyería Donna Duncan exhibirá su línea de otoño e invierno para que puedan adelantar sus compras de Navidad. Así que para todos aquellos que deseen probar el restaurante Palomar de los acontecimientos, esta es su oportunidad. Can you tell me the details on the Humane Society’s Halloween party? We went last year when we were here and would like to go again this year. I found the info on the Halloween party, thanks. Please also sign up my husbands email for the newsletter. email below.